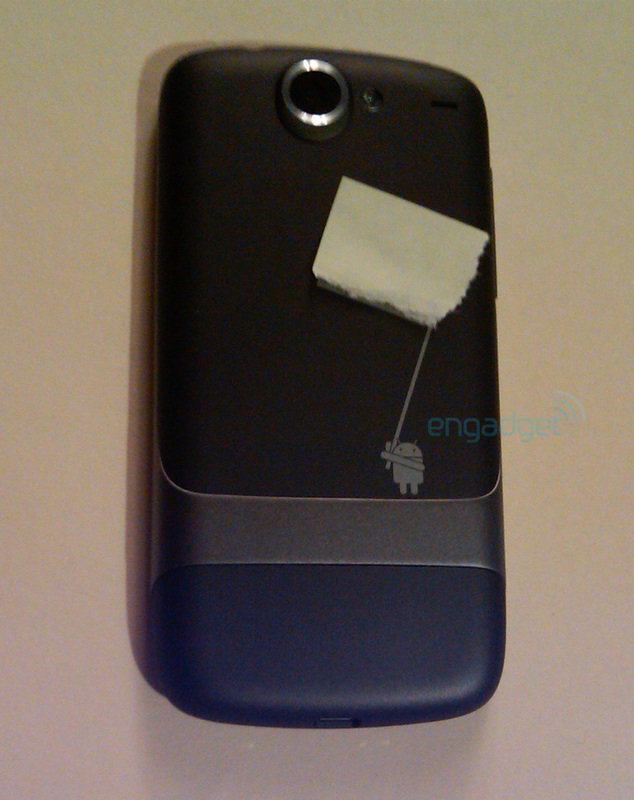 Engadget has got hold of exclusive pictures of the upcoming Google Phone for your viewing pleasure. 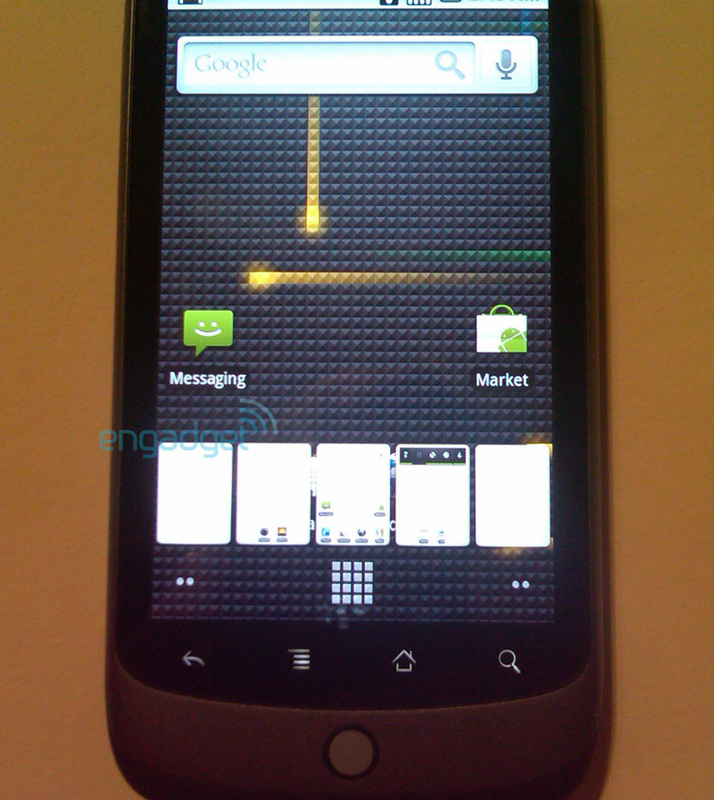 Nexus One is the name of the Google branded phone which has been designed by the folks at Google, and the hardware is manufactured by HTC. 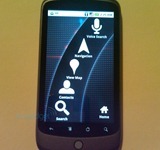 It will be powered by the latest Android 2.1 OS and will be sold online by Google through T-Mobile, fully unlocked so that you can use it with any carrier you like. 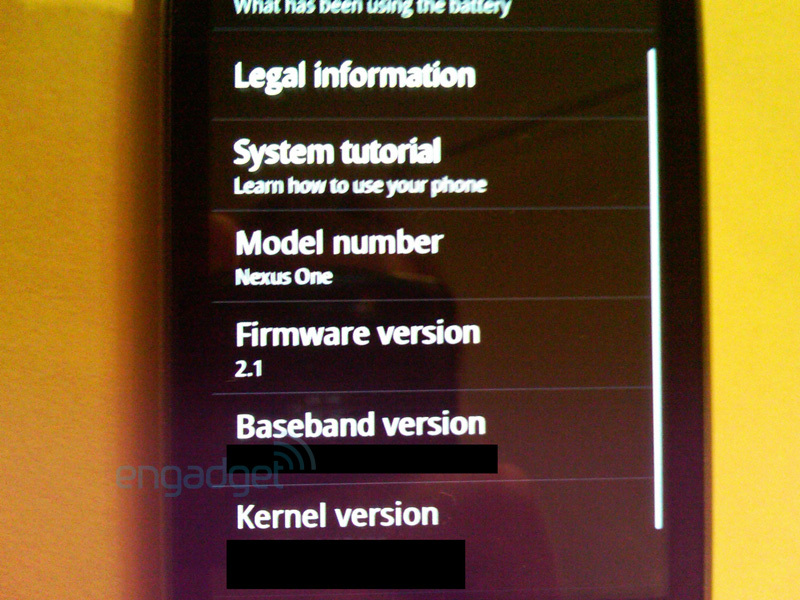 While the lockscreen on Android 2.1 looks similar to what we have seen in version 2.0.1, the homescreen seems to have got a bit of overhaul. 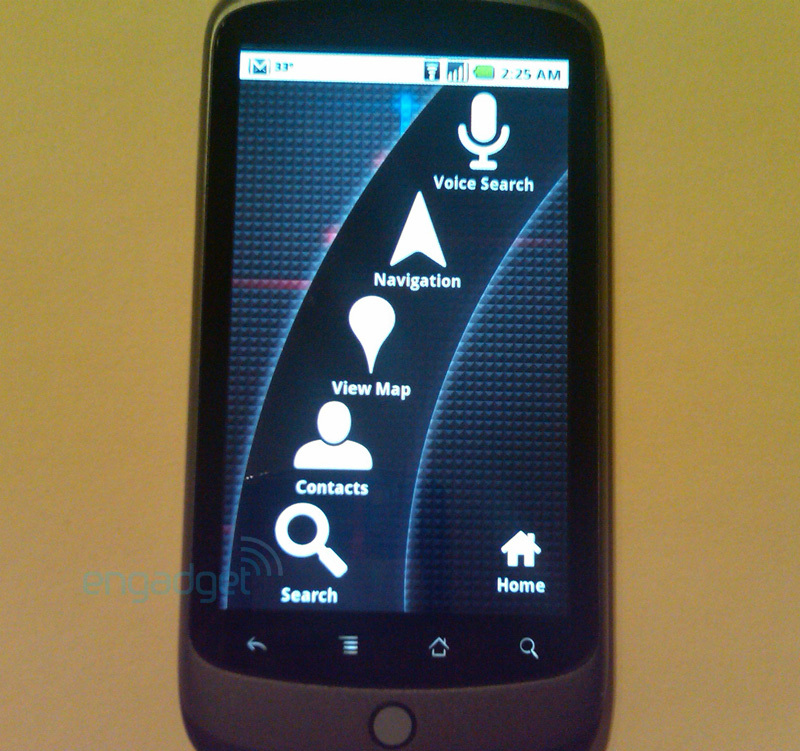 It now features 3D elements in the app tray along with grid icons on the bottom of the homescreen which seems to have been inspired from Palm Pre’s webOS. 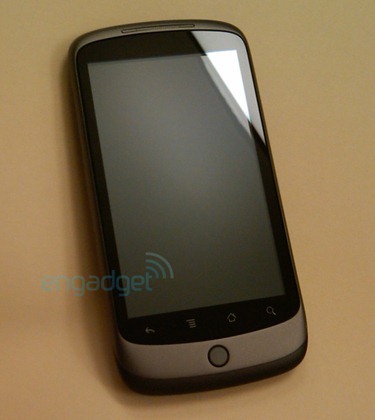 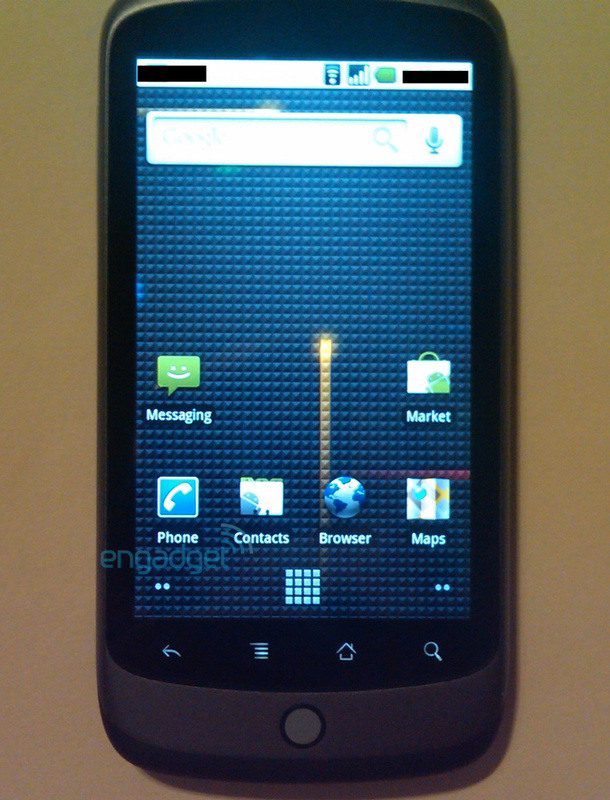 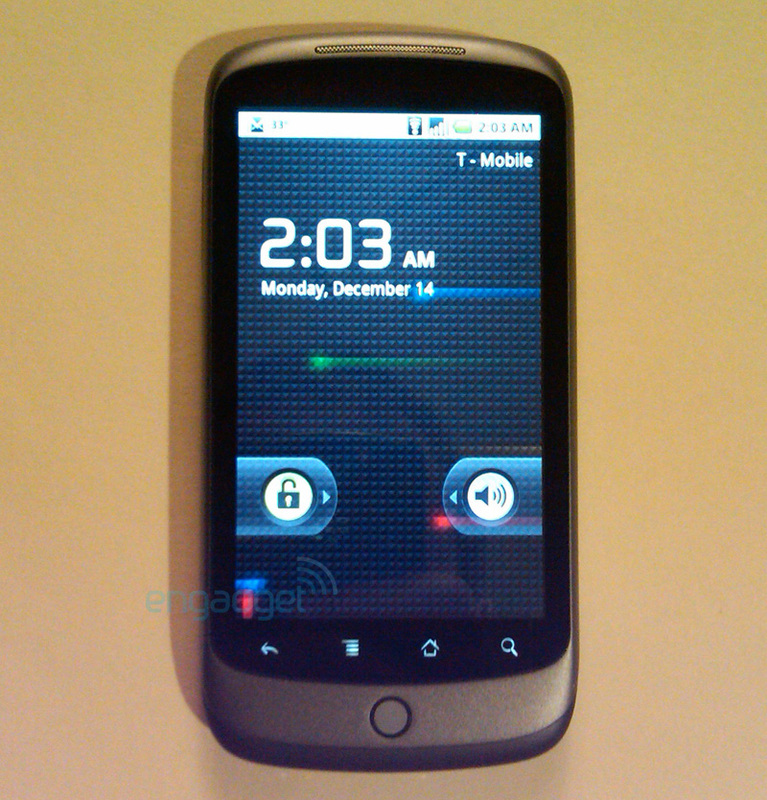 Check out all the photos of Nexus One with Android 2.1, courtesy of Engadget.